AAC Eurovent provide market leading Odour Control and VOC Reduction solutions for Wastewater & Sewage Treatment applications. Our robust range of Carbon Filter products can be found in Wastewater and Sewage Treatment facilities, across the UK and globally, where they deliver high efficiency removal of Hydrogen Sulphide, Mercaptan, Indoles and Skatoles. Our competitively priced, plastic refillable, Carbon Filters are designed for use with a range of AAC bespoke products including our Swiftpack Carbon Filter Housing and the AAC PV Passive Vent, which delivers a robust passive ventilation solution for tank venting applications. 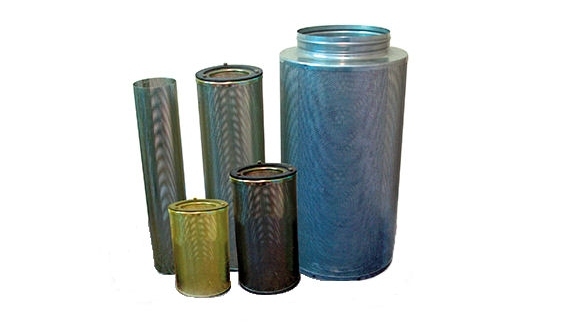 Our DFV Drum Filter range is designed to efficiently remove organic and inorganic odour such as Hydrogen Sulphide, Formaldehyde and Ammonia from air or gas streams, and our competitively priced Bulk Filters, Carbon Canisters, and Liquid Filter solutions remove a wide range of organic compounds in semi-static, emergency, or temporary operations. We also offer a competitively priced Activated Carbon Media Testing service, which includes the patented Colourcell Media Filter System, and a fast turnaround Carbon Filter Media Replacement and Media Disposal Service. The AAC CF Carbon Canister is a robust Carbon Filter designed for maximum air filtration potential. This high-performance Carbon Filter is filled with 4mm virgin Activated Carbon pellets, and delivers excellent airflows and odour control. A removable flange can also be incorporated to permit easy media replacement. To support the AAC CF range of Carbon Canisters we offer a fast turnaround Activated Carbon Media Replacement and disposal service.